3-axis gimbal stabilizing the camera even during high-speed flying. So that 4K camera captures clear images and enjoys a vivid 4K video at 30fps. 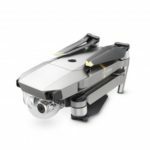 In addition to horizontal, vertical, and 180° panoramas, the Mavic Air stitches 25 photos together in just eight seconds to create crystal-clear 32MP sphere panoramas. 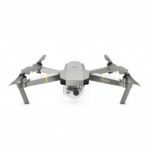 With ActiveTrack, Mavic Air automatically recognizes objects of different shapes and sizes then tracks them according to what they are and how fast they move. This makes tracking much easier and more reliable. 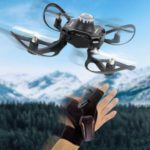 Fun, simple, and intuitive, smartcapture offers a new and interactive way of controlling the mavic air by hand. 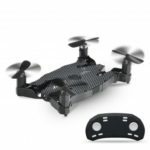 Launch and control the drone with hands gestures, then take photo or videos however you like. 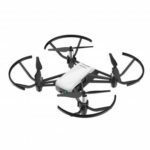 Allows Mavic Air to observe the surrounding environment and learn its orientation, achieve comprehensive protection. 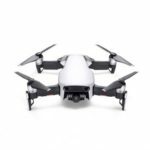 Mavic Air&apos;s battery provides 21 minutes of flight time under ideal conditions. Support dual frequency bands of 2.4/5.8GHz and a 720P live view from up to 4km away.